Thank God Got My Hair Keratinized! Mon and Daughter getting hair together. 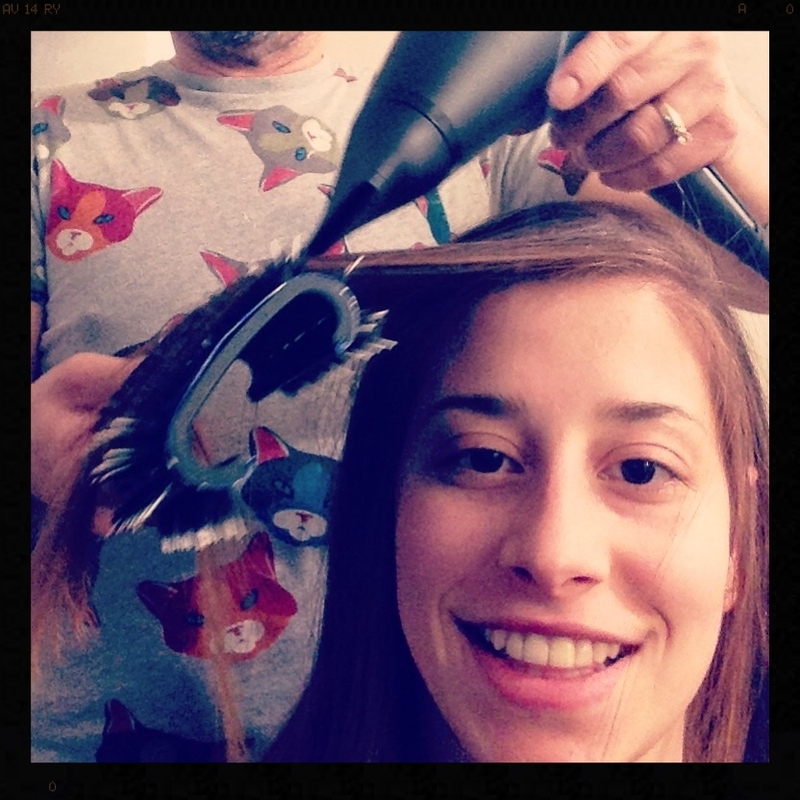 Here with Lily, who just had the Ombre Balayage done and now its time for the Brazilian Blowout. We used the Ventura Brush for straighter and volume look. "Hair Color" first then Keratin for long lasting results. At first when people started calling me a hero, I took it as a joke. Then a year later year more and more people had started calling me the savior lol. Make no mistake, if I see a hair in trouble, I jump into action. Put on my mask&cape, in my utility belt I bring my secret beauty weapon: "Ventura the blowout brush", I will save the day!